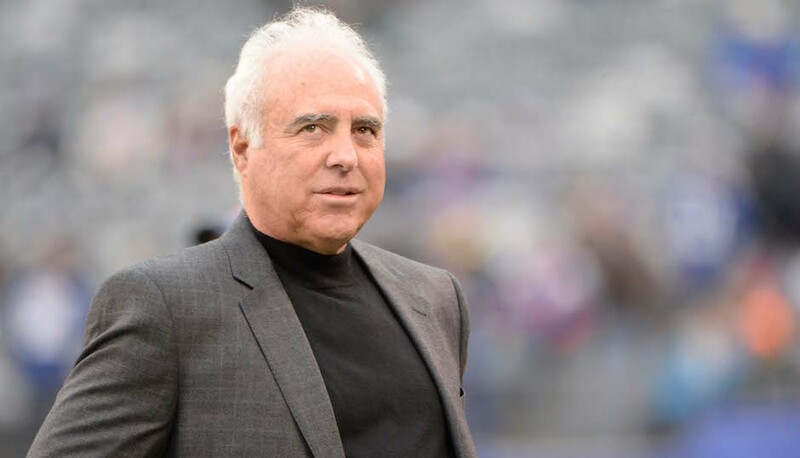 NFL team officials reportedly think the Eagles are the second-most likely team to trade up. By Josh Paunil·	 4/11/2016, 11:16 a.m.
With the draft now 17 days away, rumors about the Eagles trading up to pick a quarterback are only gaining steam. In Peter King’s Monday Morning Quarterback column today, he polled “10 team officials with power over their teams’ draft board and draft process.” The Eagles received the second-most votes as the team most likely to trade up into the top five, with the Rams receiving just one more vote. Those polled also overwhelming projected Laremy Tunsil as the No. 1 pick, and Carson Wentz as the first quarterback taken. However, King later wrote that “Philly’s the common thought” when it comes to who the Titans would trade the top pick to, “because Roseman trades, and going from eight to one is onerous but possible in terms of price tag.” He also quoted one evaluator who said it wouldn’t take an RG3-type haul to move up. Toward the end of his column, King pointed to how the Eagles would only lose $5 million in guaranteed money if they cut Chase Daniel in 2017, and $4 million if they cut Sam Bradford. King also touched on a couple of teams picking ahead of the Eagles that could affect their plans. One person told King that the 49ers won’t trade up, while Jared Goff seems to be gaining momentum in Cleveland’s camp. Ed was a true visionary and a pioneer who did tremendous things for our city and for the sport of hockey. He was driven by a relentless pursuit of winning and his passion for the sport was genuine. That’s one of the reasons I think he was so loved and respected by the fans of our city and by his players and staff. They knew he cared just as much as they did. Under Ed’s guidance, the Flyers became one of the most consistently successful franchises in the NHL, and he used his leadership to help foster a classy organization across the board. But perhaps more than anything, I think the legacy that Ed will leave behind is his commitment to helping young people in our city succeed in life through his youth hockey foundation. Our thoughts are with his family and the entire Flyers organization during this difficult time.